Caption slip reads: "Photographer: Olmo. Date: 1954-08-01. Reporter: Adler. Assignment: Horseless carriages. 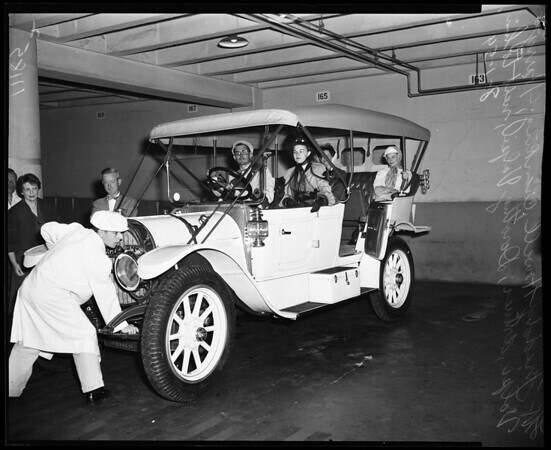 15: Freddy Howell cranking up 1911 Pope-Hartford -- with Harry Volpi in driver's seat -- his wife, Dorothy Volpi, next to him. 16: Bob Ring climbing into 1911 Pope-Hartford -- driver is Harry Volpi".